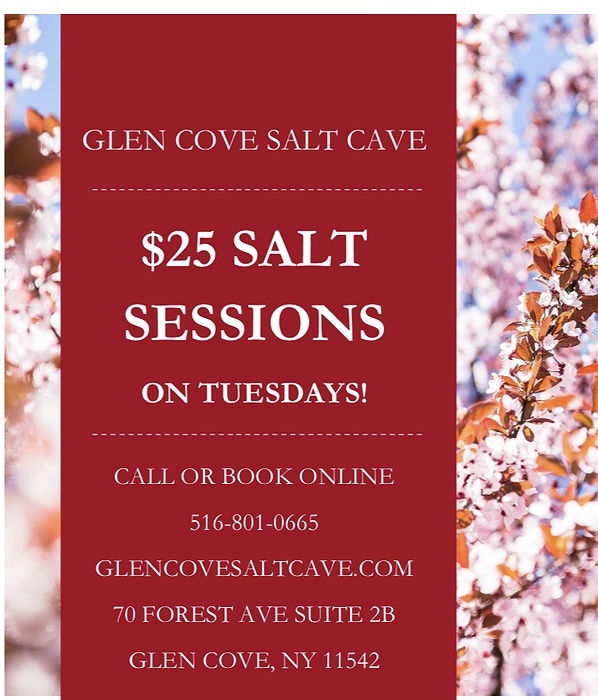 Subject: LongIsland.com - Your Name sent you Event details of "$25 Salty Tuesdays at the Salt Cave"
Come experience the many benefits of halo therapy has to offer and begin to take a positive step towards a healthier, happier you. 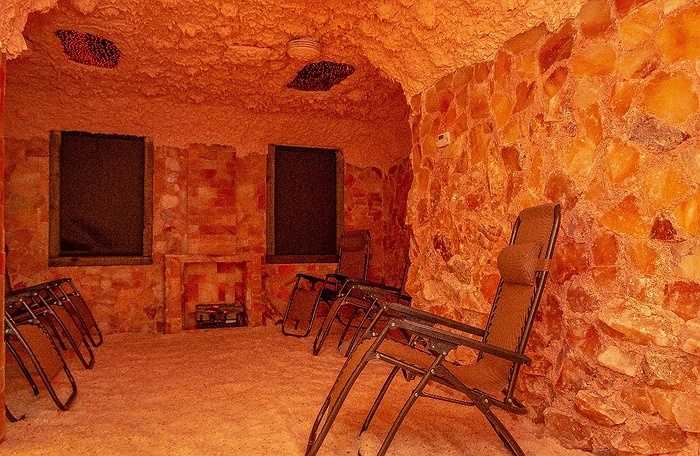 At the Glen Cove Salt Cave we offer Halo therapy or Salt therapy which clears all pollens, viruses, pollutants and toxins of our lungs and nasal passageways, in essence preventing illness. Your respiratory tract will feel rejuvenated with regular use. It allows you to get a sense of peace and serenity while simply breathing in the salt particles. They then travel into the deepest parts of your respiratory passages. Through the production of negative ions salt therapy will boost the immune system and reduce chronic fatigue and stress. As more and more people begin to search for alternative, holistic medicine, we offer exactly that; an ancient form of healing that is meant to strengthen, balance, and renew your physiology and psychology.